Safe Place for Pets provides on-site housing, off-site Housing, and community programs for people and pets who need a safe escape from domestic violence. 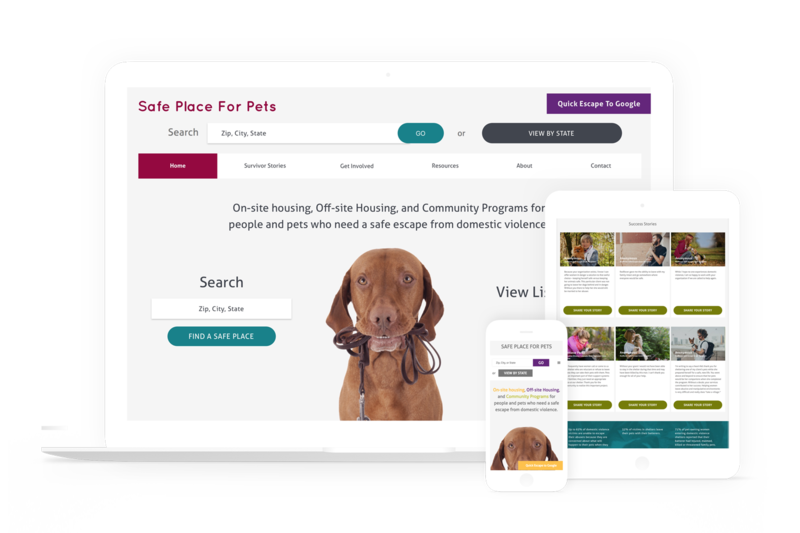 Giant Rabbit designed and built a Drupal 7 site that helps victims of domestic violence find shelter for their pets as well as themselves when they escape from an abusive home. Our design challenge was to create a design that looked neutral to a casual observer (to minimize the risk to the person using the site), but which nevertheless offered a clear path to lifesaving information.